I LOVE this fun and cute card,Rita! 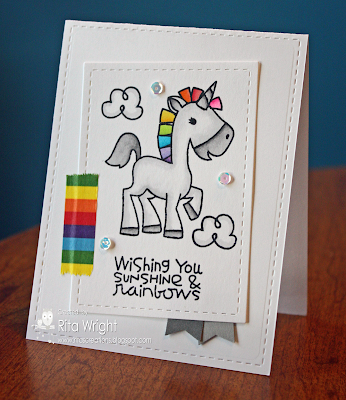 The unicorn is adorable and i love the rainbow colors!! Cute Rita! Especially apropos after Friday's news!